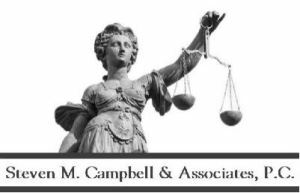 Steven M. Campbell & Associates, P.C. is a general practice law firm serving the needs of families, businesses and individuals. Give us a few minutes to explain what we do and why you need us. We take care of you. Steven Campbell P.C. is a specialist in Wills and Georgia Law. If you are in doubt about any legal matter, consult with Steven Campbell and Associates, P.C. We will speak on your behalf. If you are involved in important legal transactions, Steven Campbell will represent you and your interests. Steven Campbell has extensive experience and has been in practice for over 35 years. The Campbells have two grown children whom they adore.